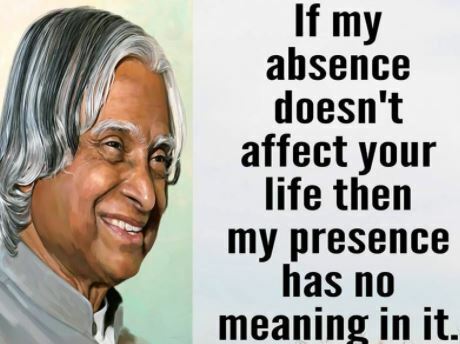 Dr. APJ Abdul Kalam was born on 15th October 1931 at Rameswaram in Tamil Nadu, Dr. Avul Pakir Jainulabdeen Abdul Kalam, graduated in Science from St. Joseph’s College, Trichy in 1954 and specialized in Aeronautical Engineering from Madras Institute of Technology (MIT) in 1957. Dr. Kalam is a pioneer in fibre glass technology and led a young team to initiate this effort in ISRO from design, development leading to production of composites rocket motor cases. Dr. Kalam made significant contribution as Project Director to develop India’s first indigenous Satellite Launch Vehicle (SLV-3) which successfully injected the Rohini satellite in the near earth orbit in July 1980 and made India an exclusive member of Space Club. 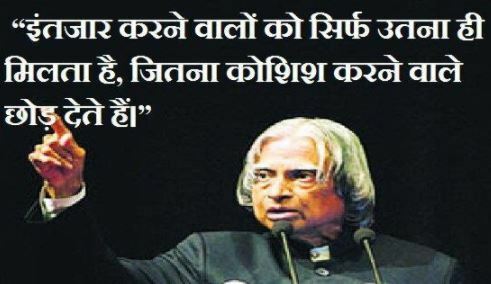 In his literary pursuit Dr. Kalam authored a number of books, such as “Wings of Fire”, “India 2020 – A Vision for the New Millennium”, “My journey” and “Ignited Minds – Unleashing the power within India”, “Indomitable Spirit”, “Guiding Souls”, “Envisioning an Empowered Nation”, “Inspiring Thoughts”, “Children Ask Kalam”, “You are born to blossom”, “Family and the Nation”, “Life Tree” and “The Luminous Sparks” a collection of his poems. Many of them have become household names in India and among the Indian nationals abroad. These books have been translated into many Indian and foreign languages. Dr. Kalam is one of the most distinguished scientists of India with the unique honour of receiving honorary doctorates from 48 Universities and institutions from India and abroad. The Honorary Doctorates include, Nyenrode Business University, Netherlands; Nanyang Technological University, Singapore; Carnegie Mellon University, Pittsburg USA; University of Wolverhampton, UK; University of Kentucky,USA; Oakland University, Michigan USA; University of Waterloo, Canada; University Sans Malaysia, Malaysia University of Sydney, Australia and the Simon Fraser University, Vancouver. The Royal Society, UK has awarded Dr Kalam with the King Charles-II Medal for Science and Technology in October 2007. He received the Woodrow Wilson Award in 2008. The Royal Academy of Engineering, London conferred on him the International Medal 2008 in June 2009 at London. The Hoover Board of Awards presented him the Hoover Medal 2008 at New York in April 2009. The Aerospace Historical Society in Collaboration with the Graduate Aerospace Laboratories (GALCIT) at the California Institute of Technology awarded him the 2009 International Von Karman Wings Award in September 2009. Some of the brightest minds in the country can be found on last benches of the class room. Learning gives creativity, creativity leads to thinking, thinking provides knowledge, and knowledge makes you great. “Black color” is sentimental bad but every black board makes the student life better. One of the important characteristics of a student is to question. Let the students ask questions. If we are not free, no one will respect us. Be more dedicated to making solid achievements than in running after swift but synthetic happiness. If four things are followed – having a great aim, acquiring knowledge, hard work, and perseverance – then anything can be achieved. Life is a difficult game. You can win it only by retaining your birthright to be a person. India should walk on her own shadow – we must have our own development model. The youth need to be enabled to become job generators from job seekers. My message, especially to young people is to have courage to think differently, courage to invent, to travel the unexplored path, courage to discover the impossible and to conquer the problems and succeed. These are great qualities that they must work towards. This is my message to the young people. Great teachers emanate out of knowledge, passion and compassion. Small aim is a crime; have great aim. “All Birds find shelter during a rain. But Eagle avoids rain by flying above the Clouds. “Thinking should become your capital asset, no matter whatever ups and downs you come across in your life. क्या हम यह नहीं जानते कि आत्म सम्मान आत्म निर्भरता के साथ आता है? Teaching is a very noble profession that shapes the character, caliber and future of an individual. If the people remember me as a good teacher, that will be the biggest honor for me. Real education enhances the dignity of a human being and increases his or her self respect. The purpose of education is to make good human beings with skill and expertise…Enlightened human beings can be created by teachers. Great teachers emanate out of knowledge, passion and compassion..
Creativity is the key to success in the future and primary education is where teachers can bring creativity in children at that level. Ultimately, education in its real sense is the pursuit of truth. It is endless journey through knowledge and enlightenment. Educationists should build capacities of the spirit of inquiry, creativity, entrepreneurial and moral leadership among students and become their role model. If you want to success try to learn from failure story. Without your involvement you can’t succeed. With your involvement you can’t fail. The best brains of the nation may be found on the last benches of the class room. Don’t read success stories, you will only get a message, Read failure stories; you will get some ideas to get success. Once your mind stretches to a new level it never goes back to its original dimensions. All of us do not have equal talent. But all of us have an equal opportunity to develop our talents.